In our “Where Are They Now?” series, Carrie connects with Anthony Famiglietti! They talk about his current running adventures, balancing training with his work as a coach and business owner, and some heartbreaking (and inspirational) life-changing moments in his life. Anthony Famiglietti is a 2 x Olympian in Track and field (2004 and 2008) in the 3000m steeplechase. He was won six National Championships on the road and track including the 5k, 8k,15k and steeplechase. He has a 1500 meter personal best of 3:35 (3:52 mile) and a full mile personal best of 3:55. As a steeplechase specialist, “Fam” raced other track events mostly in preparation for his steeplechase exploits. Despite this, in 2007 he held the fastest 5k by an American on U.S. soil with a 13:11 and narrowly missed setting the 5k American Record on the roads with a 13:28 in Carlsbad in 2009. Fam is now 40 years old and currently continues to set high personal standards as he aims to be only the 4th man in history to break a four minute mile after 40. All three of the men on the list ahead of him are mile specialists, two of whom are arguably in contention to be ranked as the greatest milers of all-time. No stranger to challenges, Fam is a uniquely driven athlete that has left an indelible mark on the running world through his racing style and charismatic persona. 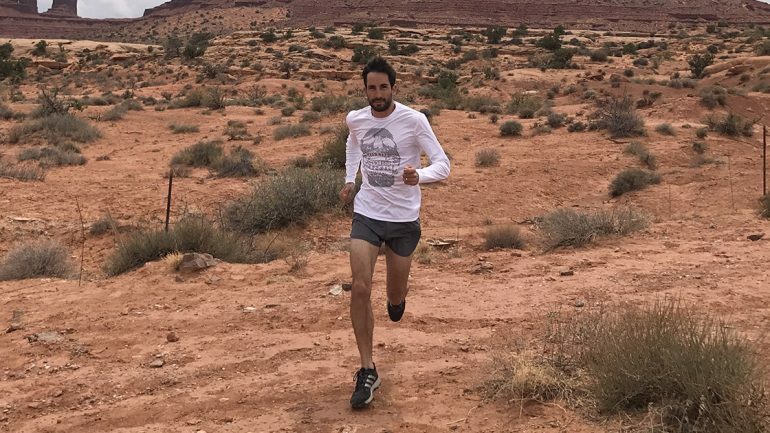 He has a deep personal history in running that inspires him to live the life of a modern day runner in ways that might currently seem outside the norm, but will likely become the future standard.